Created in Blender, Inkscape and Gimp. No rigging is used, just parent/child and pivot points. There are shape keys for eyelids and tail. Alto recorder solo. 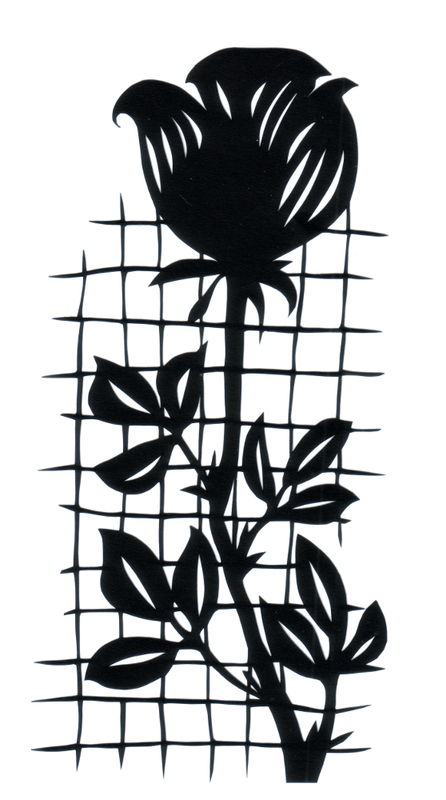 Hand cut paper sketch of a rose blooming on a damaged fence or trellis. Black paper. 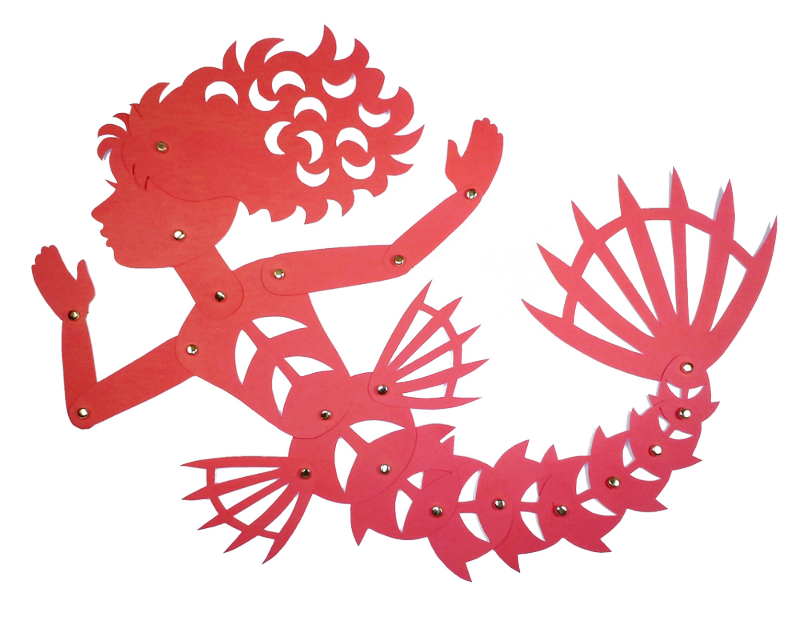 An articulated mermaid paper doll with moveable hair, pelvic fins and fish tail. Nicely poseable. 20 brad joints. Red paper. 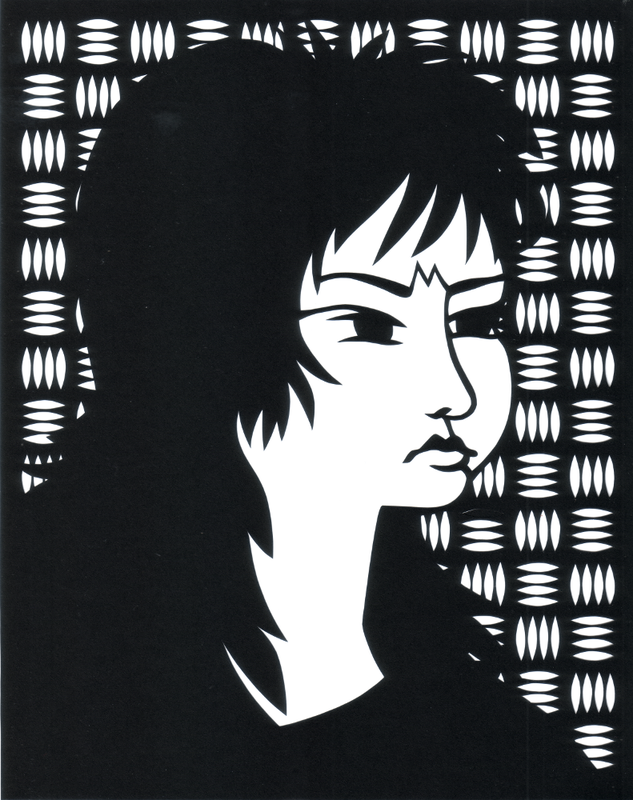 When I designed this girl she clearly had an attitude... she may not be a morning person. There is a woven pattern in the background. 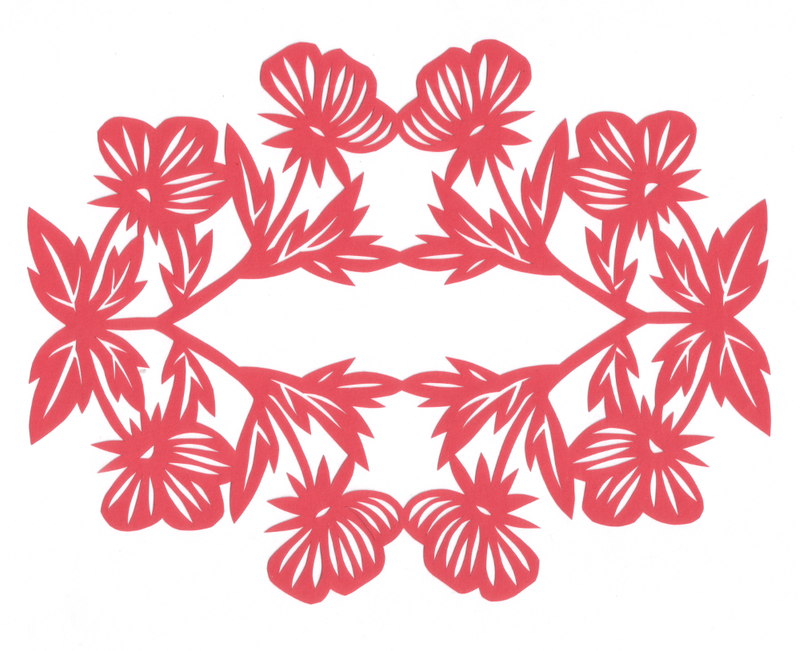 Hand cut black paper, 8" x 10"
A simple pattern of flowers and leaves with symmetry in the horizontal and vertical planes. 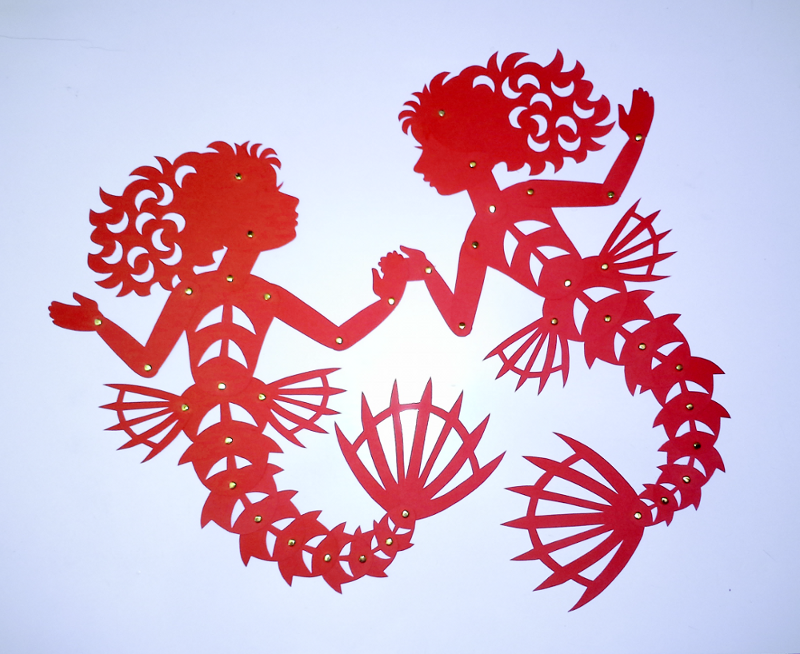 Hand cut red paper, about 8.75" x 6.75". 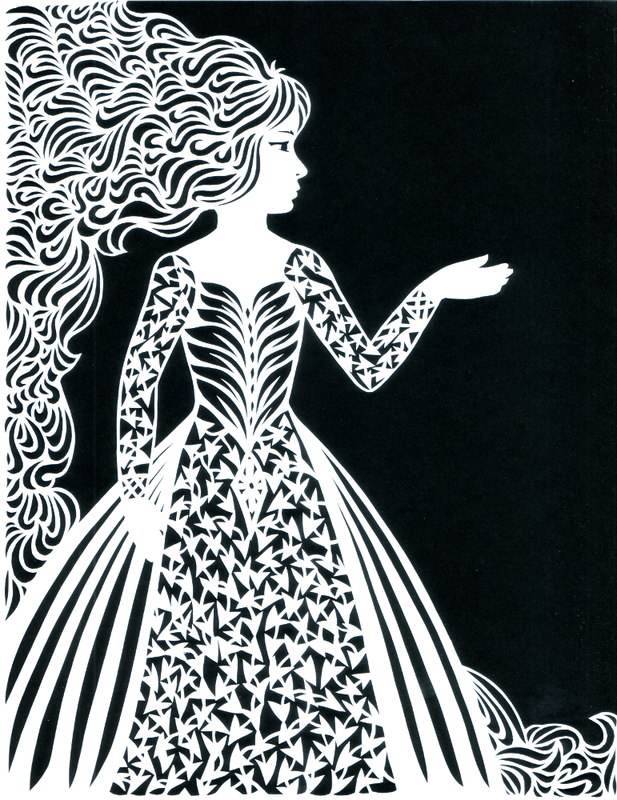 Hand cut white paper over black background. 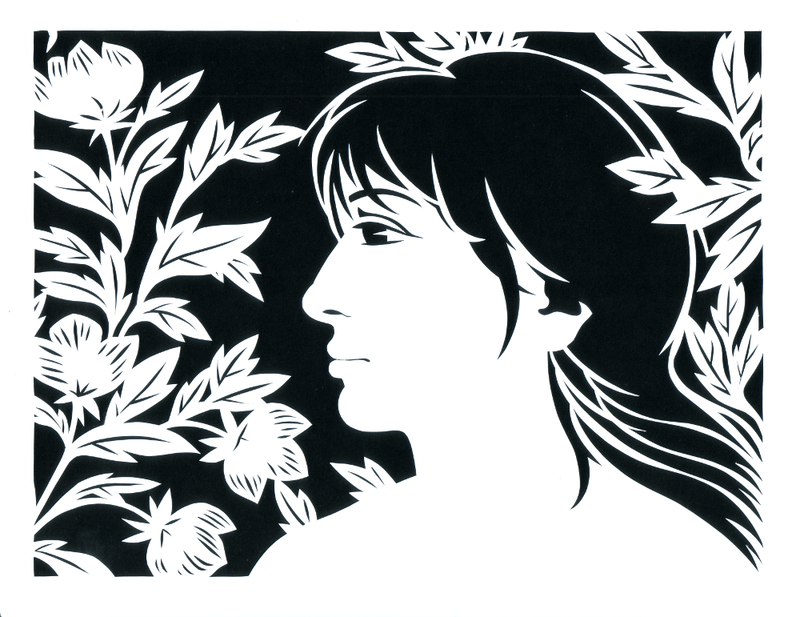 Design features a woman's profile in a garden setting with leaves and blossoms. See Eve on Etsy.com. 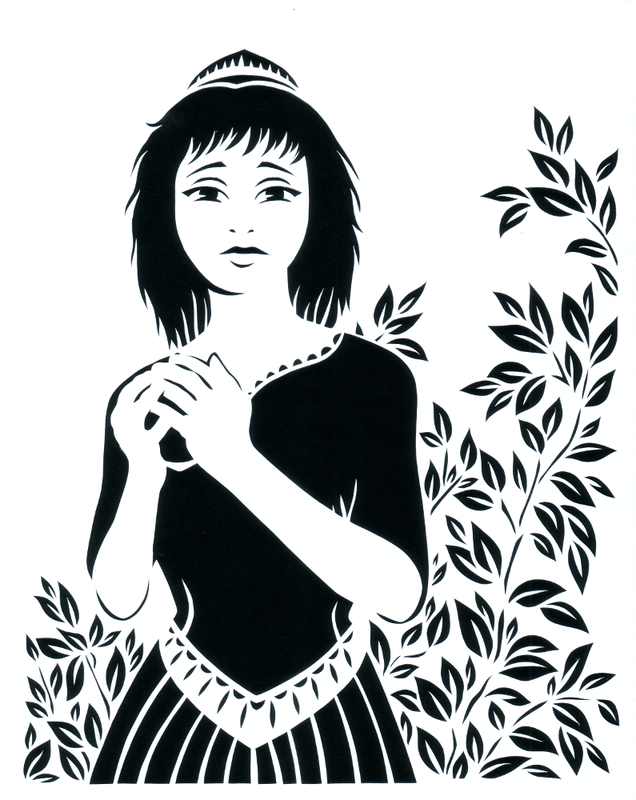 Stencil-style paper cut of a girl with a crown and long dress, holding a ball. Will she meet her prince today? White paper with black card stock showing through. See Girl with Ball on Etsy.com. 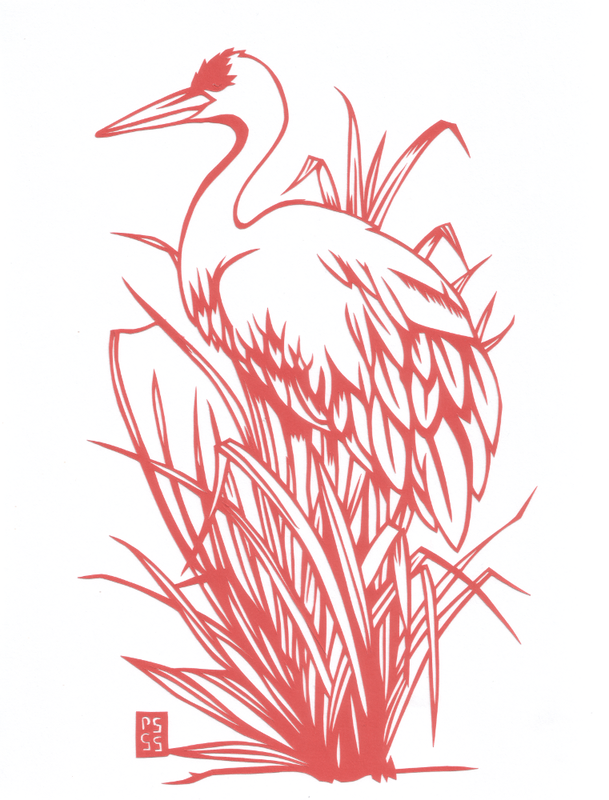 Done from a drawing I had made for another medium, of a crane in a grasst setting. I had the opportunity to take a lot of pictures of a pair of cranes that were hanging around a shopping center in Wixom, Michigan. Red paper. 10" high. See Red Crane on Etsy.com. White paper on black background. 8"x10". A woman in a floral motif dress with very long curly hair. I had one of my original paper dolls pose for me, and traced her, then went to town. See it on Etsy.com. 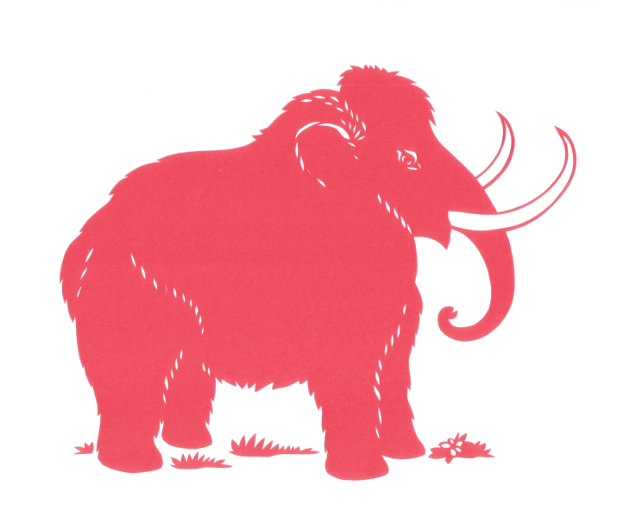 Wooly mammoth design with two long tusks, cut from red paper. In this instance I made a sketch on white paper, taped it to the red paper, then used a craft knife to cut through both sheets at once. The grassy bits were cut separately. Then I used Mod Podge just to tack the pieces to a sheet of white paper so they would stay together for scanning. Image is about 8 inches wide. Website and content copyright © Paula Gail Grisell-Goldstein. All rights reserved.